Delivering tailored packages, catering to your every need, book your next function with Mr. Crown! At Mr. Crown, we know how important it is to have a memorable and enjoyable time with friends, family or colleagues at every occasion. From birthdays, engagements and anniversaries to corporate meetings, work gatherings and farewells, we're able to provide you with everything you need to ensure your event runs smoothly. Located centrally in Wollongong's CBD, we offer a unique range of indoor and outdoor spaces suitable to any function. Looking for a private room to celebrate your Hen's or Buck's party? Ask about our exclusive VIP room! Delivering tailored packages, catering to your every need, book your next special event with Mr. Crown! Catering to your every need, Mr. Crown offers delicious grazing tables made in house, perfect for any occasion. Indulge in a variety of fresh seasonal fruit, platters of cheese and cold meats or assorted sweets and chocolates all sourced locally! The Mini Graze consists of a platter of three cheeses, assorted seasonal fruit boards, platter of three types of cold meats with a mixture of marinated vegetables, water crackers, bread & nuts to fill. This Graze is ideal for a function up to 30 people who don’t wish to eat much during the night and just want to nibble. 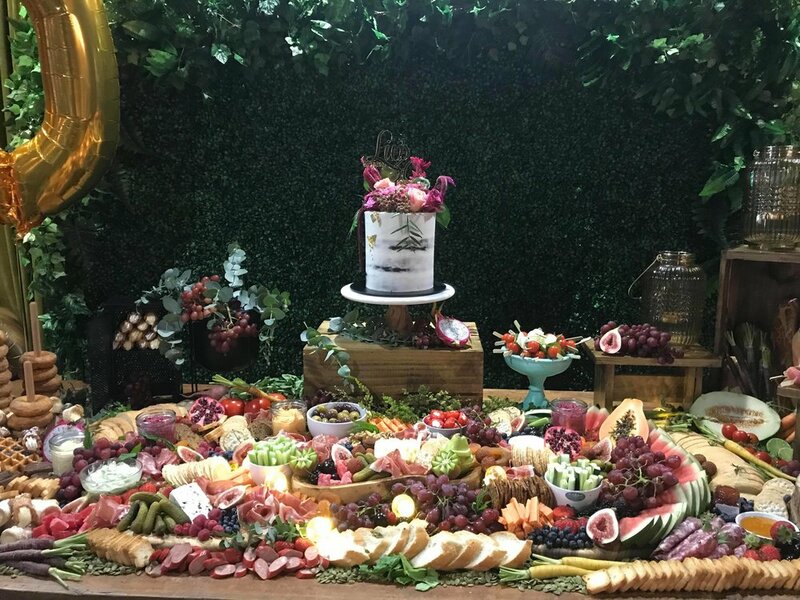 The Crown Graze consists of five different cheeses, all different types of salamis available, fresh seasonal fruit, dips, marinated vegetables, loaves of sliced bread, bread sticks, water crackers, sweets and chocolates. This spread is ideal for 40 people or more which can be accompanied with hot canapés at an additional charge. Please see our canapé menu below, or contact us for more information! Enjoy a mouth-watering slow-cooked 6hr roast on the spit served to your guests with delicious condiments. Which include roast vegetables, hand cut fries, mixed salad and gravy. A fun party package available to make your hen's night one to remember! At Mr. Crown we understand the importance of perfecting every detail at your special event. We can organise balloons and a photo booth to capture every moment at your function! Book a function with us!